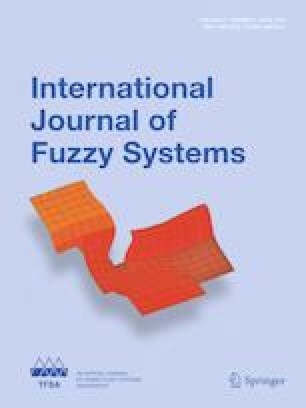 In the conventional adaptive fuzzy control design, T–S fuzzy systems with linear rule consequents, called typical T–S fuzzy systems, are usually introduced to model controlled systems and approximate nonlinear functions. The main advantage of typical T–S fuzzy system is that it makes itself naturally to utilize Lyapunov stability theory. However, typical T–S fuzzy system has finite capability in modeling nonlinear system. This paper investigates the universal approximation of T–S fuzzy systems with random rule consequents, named generalized T–S fuzzy systems. The premise variable of generalized T–S fuzzy system is associated with the system state, which may not be the system state. Moreover, generalized function projective synchronization of different uncertain incommensurate fractional-order chaotic systems with external disturbances and inputs saturation is presented via generalized T–S fuzzy systems. An adaptive controller together with fractional-order parameter adaptation laws is designed based on combining the parallel distributed compensation technique and the fractional Lyapunov stability theory to guarantee the Mittag–Leffler stability in the closed-loop system. The distinctive features of this synchronization control include: (1) the control gain matrix is presumed to be invertible (symmetric or non-symmetric); (2) generalized function projective synchronization design for different fractional-order systems with inputs saturation can be accomplished. Finally, an illustrative example is given to verify the effectiveness of the proposed method. This work is supported by the National Natural Science Foundation of China (11771263), the Natural Science Foundation of Anhui Province of China (1808085MF181) and the Fundamental Research Funds for the Central Universities (2018CSLY001).